Leaving warmth of The Lion Inn the Sun is already kissing the horizon … the village of Rosedale Abbey is a two hour walk on frozen paths … but the moon’s shadow lights our way. 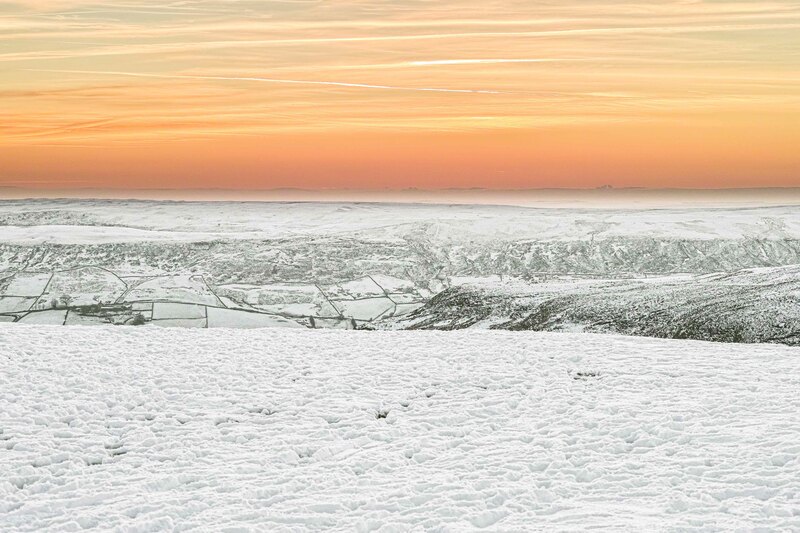 I think everyone who visited The Lion Inn took this photo of Farndale from Blakey Ridge. So why not one more? Fantastic horizon colour contrasting with the snowy foreground.